The picture above has been purloined from a Facebook posting made by the sister of one of my Facebook Friends. It shows Santa Clara County in the 1960's. My friend's sister put out the picture especially for her brothers and sisters, who grew up in Santa Clara. She called it the "Good Old Days." I, too, grew up in Santa Clara County in those good old days. 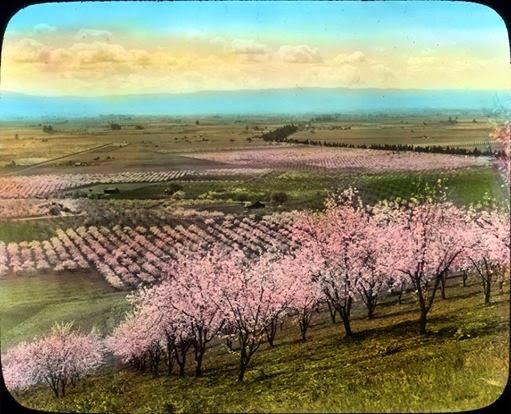 My family lived in the City of Palo Alto, not the City of Santa Clara, but I remember those cherry and apricot orchards stretching as far as the eye could see. 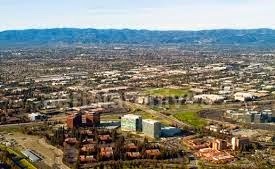 I am not saying that there aren't great things about the "Silicon Valley," as it exists right now (see image below), but I question whether children growing up in Santa Clara, and Sunnyvale, and Mountain View, and Palo Alto today - in the 2010's - are going to be posting pictures for their brothers and sisters, fifty years from now, calling the vistas of these times the "Good Old Days." I could be wrong, and we may or not make it another fifty years, too. We have to consider that possibility. Nature is finite. Our desires not so much. My best advice? We had better learn to live within the confines and limits of the World of Nature, instead of thinking that the works of our own hands are going to be better than those "Good Old Days." Thank you for this reference! I am definitely going to read it, and really appreciate having the chance to do that. And thanks for your continuing good work. I think self-sufficient local regions makes a lot more sense than trying to live beyond our means, based on the idea that we can get our resources from somewhere else. 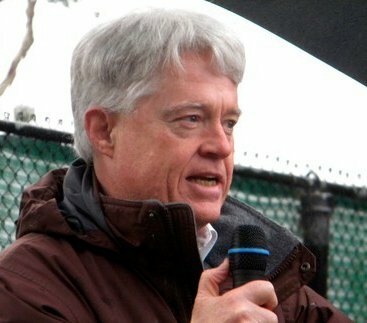 If you think about it, the US is essentially doing that on a global basis, and "globalization" really means that the "First World" economies are plundering the resources of the entire planet to make it possible to maintain and increase money flows in their part of the world, while the activities that are needed to make that happen destroy the planet for everyone (including them). You and I will keep on plugging, I know, until it's all over - or, let's not say it's impossible, because it's not - we get our friends and neighbors to turn around and start walking the other direction! Quite coincidentally, I am halfway through a delightful 150 book (found at our Live Oak library) by Robin Chapman called "California Apricots: The Lost Orchards of Silicon Valley." The book is historical, with many illustrations (some amazing colored postcards of the 1920s), from the perspective of a woman (now our age) who grew up surrounded by the orchards. I recommend it highly and should have it returned to the library in the next week or so.